Dedicate time every week to following other accounts, making people aware of your company, in turn, building brand awareness. Begin by conducting research into your key target markets, and focus on following those who may be interested in hearing about your products or services. Following sprees have an array of benefits, from building brand awareness and visibility to increasing follower numbers. Apps exist that make this task even easier, for example, Social Nourish is a Twitter management tool that helps accounts to easily undertake following and unfollowing sprees – enabling your business to build followers. Optimise your bio by incorporating relevant hashtagged keywords into your profile description. This makes your account easier to find for your target audience. In addition, according to Adweek, you should make sure your bio matches up with your posts. For example, if you’re addressing yourself as a manufacturing expert but your content doesn’t portray that, you’re likely to see a drop in followers. What’s more, according to Buffer terms such as expert, specialist or founder can be powerful in increasing followers, leading to a boost of 100+ followers. Relatively new to Facebook and Twitter is polls, this feature essentially enables you to gather opinions and information on specific topics from users. For example, you could ask people what they think about Facebook’s tweaked algorithm to demote businesses. Polls encourage engagement, enabling your followers to voice their opinion on your company profile. The benefits of polls are two-fold, not only do they show your followers that you value their thoughts, they can also be extremely useful for gathering essential information such as which of your services they value most. Using hashtags within polls will boost the reach of your post and promote it to a wider target audience, outside of your immediate followers. Don’t be afraid to promote your company’s social channels on other platforms, from your website, corporate blogs, email campaigns and business cards to personal social media profiles. Employees are often the best advocates for promoting your business page, as they can open the page up to a whole host of new social media users in their personal following lists. Encourage them to like, share and re-tweet posts from your business profiles as much as possible to maximise reach. 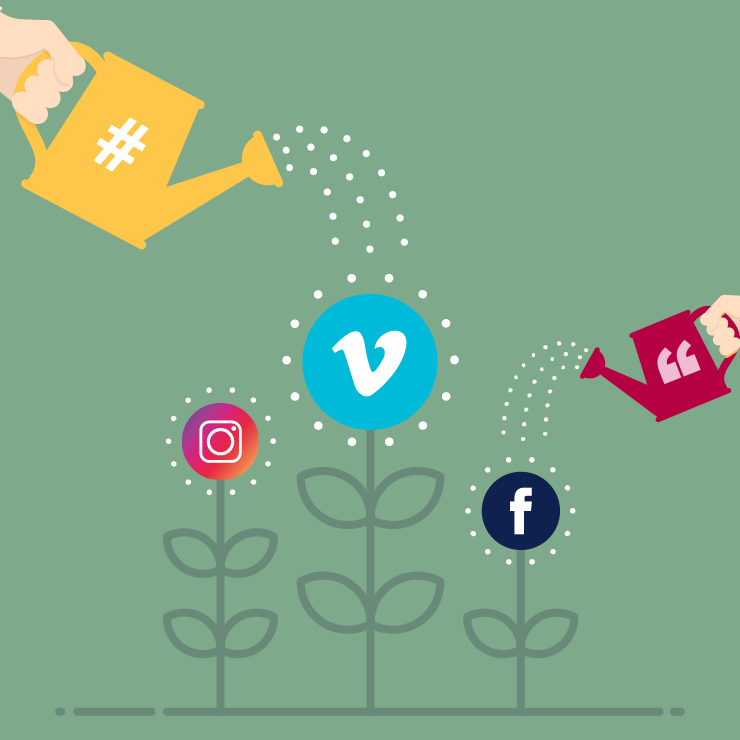 By promoting your social channels, you will reach a larger target audience, which in turn should lead to an influx of followers (especially if you make following easy with clickable social icons). In the midst of all these rules and guidelines, brand personality is often lost. Injecting personality into your social media channels is vital, it enables an individual to truly connect with your brand, giving them a reason to follow your page. When developing your personality and voice online it’s important to stick your core company values. One way to portray personality is through comedy, posting funny content that ties in with your products. By implementing these tactics into your social media strategy, you should be able to begin to build a large and targeted following – building brand awareness and visibility across all your social channels at the same time, which in turn will have a positive impact on your business. Shrewdd are a digital and branding agency in Leeds and have over 15 years’ experience delivering engaging PR, content and social media campaigns for some of the UK’s leading companies.